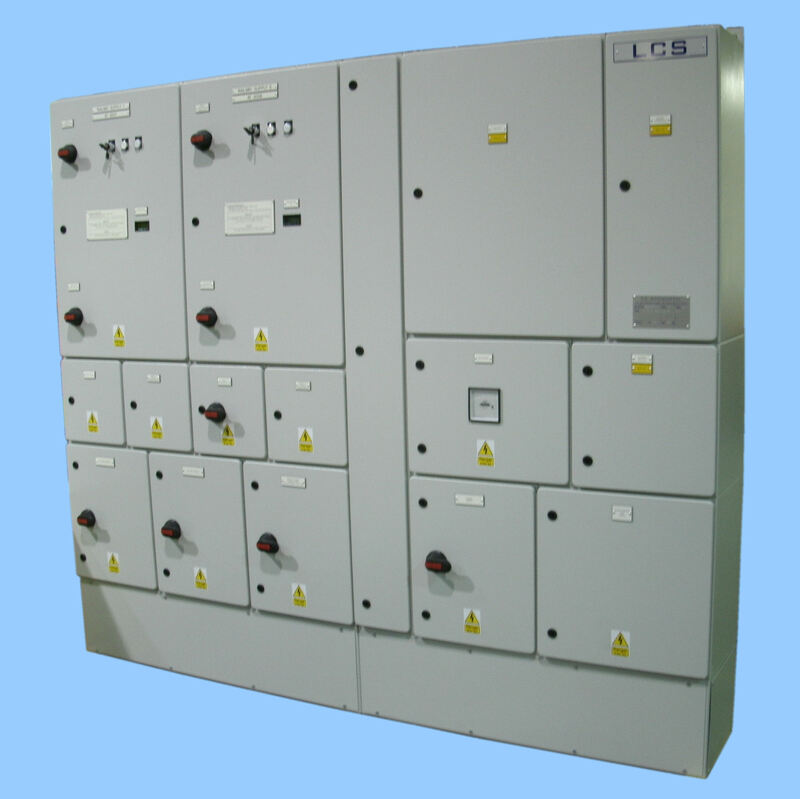 The system comprises two incoming 400V-440V 100A AC supply circuits. Each consists of an incoming 4 pole 690V 100A Switch-Disconnector followed by a 3 pole 660V 100A contactor and then an isolating 4 pole 690V 100A Switch-Disconnector. The outputs from the isolating Switch-Disconnectors feed a bus and this is sectioned with a 4 pole 690V 100A bus isolating Switch-Disconnector. To customer specification NR/SP/ELP/21026 The bus feeds the four outgoing supply circuits via 4 pole 1000V 63A Switch-Fuses.